$1,149.00 This may be in stock for quick delivery; please call! Bach FH600 flugelhorn is brought to you by Conn-Selmer, the largest US manufacturer of band instruments. It is part of a premium line of value priced quality musical instruments for today's young players that are made to our exacting specifications. Bach FH600 flugelhorn is brought to you by Conn-Selmer, the largest US manufacturer of band instruments. It is part of a premium line of value priced quality musical instruments for today's young players that are made to our exacting specifications. Backed by full warranties and service, the Bach FH600 is well suited for players of all ages. 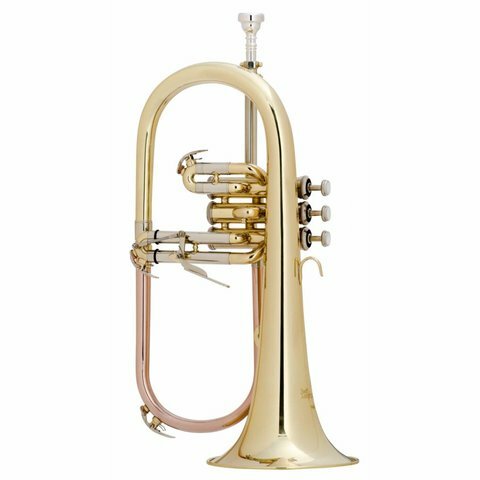 The Bach Aristocrat FH600 Bb flugelhorn has a .434" bore and a two-piece yellow brass bell that result in a responsive attack with a broad warm sound. It has a tunable mouthpipe and durable stainless steel piston material that provides smooth and quick action. The 3rd valve thumb trigger makes for easy intonation adjustments. The clear lacquer finish provides a subtle warmth to the overall sound. The FH600 is well suited for all musical settings. 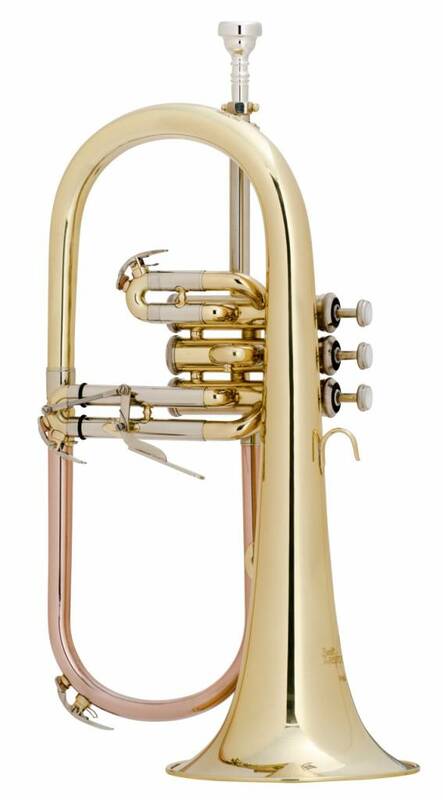 Bach "Aristocrat" - key of Bb, .434" bore, two-piece yellow brass bell, air-through design, tunable mouthpipe, Monel pistons, 3rd valve slide trigger, clear lacquer finish, Bach 7C mouthpiece, soft backpack-style case.